We can stop friends posting on your Facebook wall and timeline. Facebook wall is old name of timeline. Facebook change the name of Facebook wall to Facebook Timeline. Your Facebook wall is your private property on Facebook. As soon as you post on your wall or timeline, all of your family and friends can see your post. This process does not require sharing. Okay! its fine for me and for everybody using Facebook. But it is against ethics, if somebody is posting their posts on your Facebook wall without permission. I never did this and I never want others to do this without my permission. If you are new on Facebook and you are adding your friends and family in your friend’s list. Then there might be a risk factor is involve. May be your untrusted friend post illegal and unethical post on your wall or timeline. If this happen then your all family and friends can see that post. Which may cause misunderstandings and problems in relations. So the best solution is to stop friends posting on your Facebook wall or timeline. To fix this problem Facebook is also giving you solution to stop friends posting on your Facebook wall. This option called timeline review. 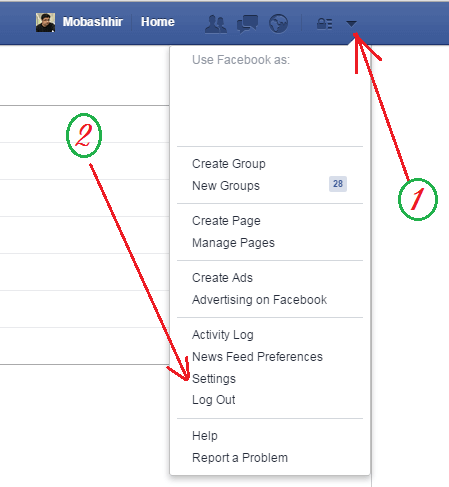 You can activate timeline review option by entering in your Facebook account. In the settings page click on “Timeline and Tagging” option. Now change the settings to “Only Me”. If you select this option then you are going to stop friends posting on your Facebook Wall or Timeline. For an instant if you want to manually select the posts to appear on your timeline then you can go through second step. You can activate timeline review option to review the post before appearing on your wall or timeline. Then select “Enable” option and close it. Now no body can put his or her post on your timeline. And you will become the only owner of your Facebook Wall or Timeline posts. You already stop friends posting on your Facebook or Timeline. Now question is if somebody try to post on your Facebook Timeline then what will happen? After your friend share post on your timeline you will receive a notification on your timeline picture area. Or you can also access the timeline review option by clicking top right corner drop-down arrow button. After clicking you will find an option named “Activity Log”. In this option you can review timeline posts. You can either approve or hide them from your timeline. Do share with your friends if this article helps you to stop friends posting on your Facebook wall or timeline. Awesome step by step procedure to stop friends for posting on wall.Very useful.